PHYLLIS, Ky. — Juanita Miller opens a brown wooden cabinet in her living room and starts rifling through items piled inside it. Most of them carry the name or likeness of either Dale Earnhardt or Dale Earnhardt Jr. She pulls out magazines and hats and shirts and commemorative coins and a couple copies of Dale, a documentary about Earnhardt narrated by Paul Newman. Soon NASCAR items spill out of Miller’s lap and onto the floor around her, all of them gifts from anonymous fans and carrying with them stories about giving and sharing and grieving. As her daughter, Wessa, sits in a wheelchair behind her, Juanita reaches to the second shelf of the cabinet and pulls out a red car, small enough to fit in her palm. It’s a replica of the No. 8 Budweiser Chevrolet driven by Dale Earnhardt Jr. It looks like a toy at first glance, but upon closer inspection the dimensions seem slightly off, as if it’s overinflated. That’s because it’s not a toy. It’s a bar of soap, carved and painted by a boy from the Millers’ church in southeast Kentucky. It is such an unusual piece of automotive artwork, molded with such tender care, that when the boy first gave it to Wessa many years ago, Juanita told him he should keep it for himself. But he insisted that Wessa should have it. There’s another wooden cabinet, this one white, along the same wall, that’s just as full of NASCAR memorabilia. Five plastic bins are stored elsewhere. For 20 years, anonymous fans have dropped off or mailed gifts for Wessa, from newspaper clippings to commemorative coins to enough money for the family to buy a conversion van with a lift to make transporting Wessa easier. Every time Juanita thinks the shower of sharing has finally stopped, the gifts start again. One month ago, someone dropped off a leather jacket with Earnhardt’s trademark 3. That love was born 20 years ago today, when Wessa gave Dale Earnhardt a gift of her own: Her lucky penny. Wessa was born with spina bifida, a birth defect in which the spinal cord fails to develop properly. She is paralyzed from the waist down and has a shunt that drains fluid from her brain. When Wessa was 6, a classmate suggested her parents contact the Make-A-Wish Foundation, which they did. Wessa’s wish was to meet Earnhardt. In February of 1998, Wessa, Booker and Juanita drove 709 miles from their home in Phyllis, Kentucky to Daytona International Speedway. They met Earnhardt in an infield office with a handful of other Make-A-Wish children on Saturday, Feb. 14, 1998, the day before the Daytona 500. Earnhardt had just finished the final practice, and it had not gone well. He was due to meet with crew chief Larry McReynolds and team owner Richard Childress to discuss whether to change the engine — a huge decision on the eve of the biggest race of the year. Juanita was nervous. At that point, she knew Earnhardt only as the world knew him — “The Man in Black” and “The Intimidator.” Would he be nice to Wessa? But Earnhardt calmed her fears soon after he arrived. He squatted down next to Wessa when he talked to her so he could look her in the eye. She reached out her little hand that held the lucky penny. She told him she had rubbed it, and that it would bring him good luck, and that he would win the Daytona 500. As she gave it to him, he said he hoped so. The other kids gave him gifts, too, and he handed those off to others. But he kept Wessa’s penny — Gift Zero in a line of generosity that now stretches back 20 years. 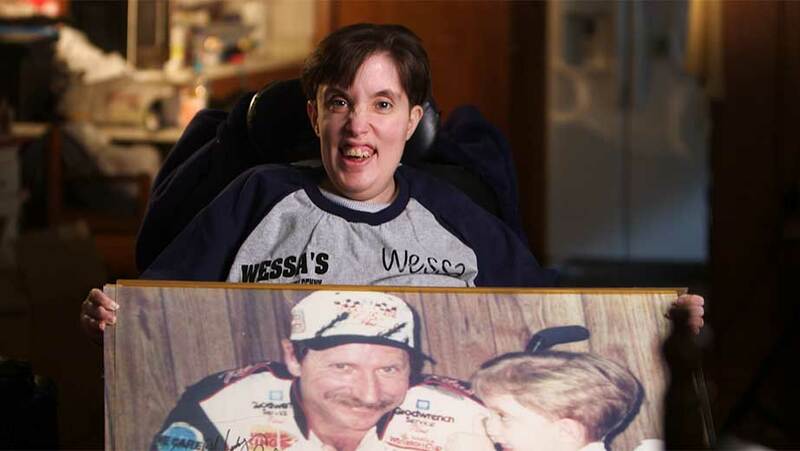 Wessa Miller, then and now, always a Dale Earnhardt fan. He spent 15 minutes with Wessa, and all the while, McReynolds did not know where Earnhardt was. The clock was ticking in terms of deciding what to do with the engine. One of Earnhardt’s reps told McReynolds the driver was meeting with fans on pit road. That frustrated McReynolds. The fans could wait. The team had work to do. Only then did McReynolds find out Earnhardt had been talking to Wessa, and the something in his hand was the lucky penny she had given him. McReynolds’ frustration melted. Earnhardt said he was going to stick the penny to his dashboard. “He had enough yellow glue on that one penny to glue a dollar’s worth of pennies on the dash,” McReynolds said. 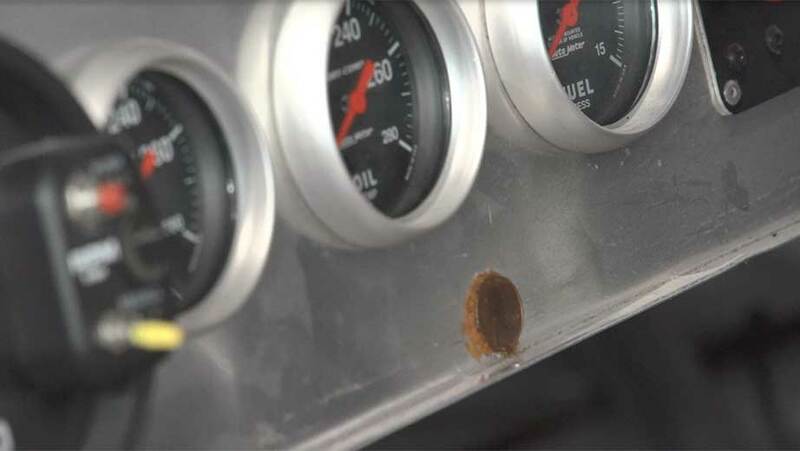 Together Earnhardt and McReynolds glued the penny to the dash … and then decided to change the engine. The Millers watched the race from their seats on the backstretch. 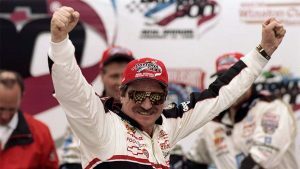 Earnhardt led 107 laps and won his first and only Daytona 500 in one of the most iconic days in the history of NASCAR. The next day, they went to Disney World. 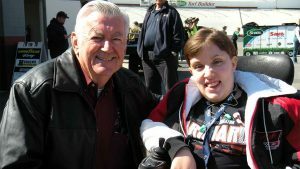 In addition to meeting Earnhardt, Wessa also wanted to meet Mickey Mouse. They did not know Earnhardt had glued the penny to the dash. They did not know he had talked to the media about Wessa and her lucky penny. They found out when a friend who heard a news report called and asked them if Wessa had given a penny to Earnhardt. They drove from Disney World back to Daytona and visited Daytona USA (now known as the Daytona 500 Experience), a museum on the track grounds in which Earnhardt’s car was on display. They were allowed to get close enough to the car to peek inside, and sure enough, there was Wessa’s penny, just to the right of the steering wheel. The gifts started to arrive soon after. One of the first was an invitation from Earnhardt for the family to be his guest that March at a race at Bristol Motor Speedway. He introduced Wessa to all the drivers. He bought the Millers a Chevrolet van (blue, at Wessa’s choice) to drive Wessa to and from her regular medical appointments in Lexington, Kentucky, a four-hour one-way trip from their home. Wessa saw Earnhardt again in 2000, when she attended an open house at one of his car dealerships. He shouted her name when he saw her and insisted she sit with him throughout the event. Wessa was crushed by Earnhardt’s 2001 death in the Daytona 500. “Her heart was broken. Her hero was gone,” Juanita says. “It was like losing someone in the family.” The family attended Earnhardt’s funeral. Wessa couldn’t watch NASCAR for a year. But eventually she returned to her spot in front of the TV on Sundays. The six Dale Earnhardt Jr. posters that cover her bedroom walls reveal to whom she transferred her allegiance. Now that he has retired, Wessa has to pick a new driver. She’s not sure who the lucky driver will be just yet, but his last name will be Dillon. When Wessa was born, doctors told Juanita and Booker that she’d live two years. Then they said five. Then they stopped guessing and simply told her parents to enjoy her for as many years as they had her. There were endless tests, and the results never seemed positive. One day, before reading results to Juanita, a doctor asked her what her plans for Wessa were. Juanita said she wanted to give Wessa the best life she could, given the difficult circumstances. If Wessa wanted to go somewhere, and that place was accessible, Juanita would take her. The doctor closed the book that held the results and said that was the answer he wanted to hear. About 10 years ago, Booker had heart surgery. Doctors told him to slow down, which he hasn’t really done. He still pulls regular shifts at the nearby coal mine in addition to working as a mechanic out of his garage out back. He’d go crazy if he sat around all day. For 26 years she has cared for her daughter and imbued her with a fighting spirit. The thought of someone else having to do that frightens Juanita. “Nobody can do it like Mama,” she says. Dale Earnhardt and David Poole had much in common. They were born and raised in small towns near Charlotte, North Carolina, started their careers at a young age and pulled themselves to the top of their professions, Earnhardt as a NASCAR driver and Poole as the pre-eminent NASCAR beat writer in the country. And they both fell hard for Wessa. Poole covered Earnhardt’s win in the 1998 Daytona 500, and in 2008, he wanted to write a piece commemorating the 10-year anniversary. He wondered whatever happened to the little girl with the lucky penny. Then, he dug up a phone number for the Millers and spent 2.5 hours talking to Juanita. His notebook overflowed with a story about blessings amid hardship. Poole’s story ran on the front page of the Charlotte Observer. He was so moved by his conversations with Booker, Juanita and Wessa that he started a charity, Pennies for Wessa, to raise money for them to help them offset the costs of caring for her. Poole died of a heart attack in 2009, not long after he arranged a return visit by the Millers to Bristol. His family asked for donations to three charities, one of them Pennies for Wessa. Donations poured in. Using what Juanita calls “the David Poole money,” the Millers bought a van to replace the van Earnhardt had given them, which had stopped running. The “David Poole van” had a lift and a bed for Wessa to lay on, which Poole wanted them to have because Wessa has to be catheterized four times a day. A few months ago, the chassis on the “David Poole van” broke. They have a temporary van now — it has a ramp but not a lift and nowhere for Wessa to lay — and are looking for a full-time replacement. In September, the Millers took over a country store that first Juanita’s parents and then her cousin had owned for the previous 30 years. It sits right next door to their home. They renamed it Wessa’s: Home of the Lucky Penny. It has wooden floors and sells everything from pipe fittings to peanuts. Juanita is in the back, looking through the five clear plastic bins full of items NASCAR fans have sent. She pulls out a homemade T-shirt, stuffed animals and a tea light candle holder whose base is a wood carved Earnhardt 3. She sets that down and finds picture frames, a lunch box and a snow globe, all of them either Earnhardt or NASCAR. Up front, Juanita’s son-in-law, Jesse Freeman, works the counter. Her daughter, June Freeman, cooks in the store’s deli. As Wessa sits at the entrance one day last week — as she does most days, she loves to talk to customers as they come and go — the first four customers who walk through the door greet her by name and hug her. A man pokes his head in the door and asks for Booker. But he’s out on a run with his tow truck. A brief conversation follows in a kind of shorthand in which people and places are referred to in such a way that if you didn’t already know them, you’d never follow it. Wessa’s is the only store for miles around, but it’s far more than just a place to buy stuff. It’s a place to talk, to know and be known, to hug a neck … and to eat. The store’s deli offers Wessa Fries, which are covered in cheese and bacon, and a burger called “The Intimidator” — three half-pound patties, plus bacon, mushrooms and fixings. “The Intimidator Jr.” has half as much meat. Juanita says skinny boys come in and polish off “The Intimidator” while great big grown men split it into two meals. Underneath the glass cover on the counter sit dozens, maybe hundreds, of pennies. 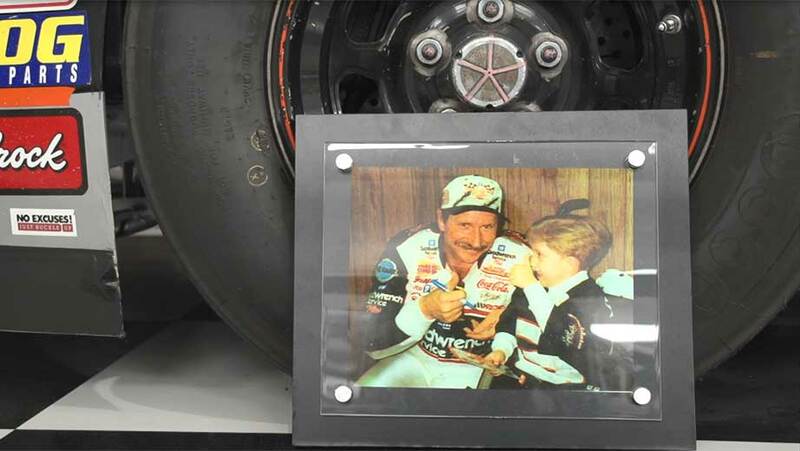 The penny that made Wessa famous is still glued to the dashboard of Earnhardt’s car, which is housed in the Richard Childress Racing Museum in Lexington, North Carolina. Earnhardt pictures, license plates and posters adorn Wessa’s walls. There are wood carvings behind the counter and a set of pocketknives on the wall. The counter features a blown-up picture of Wessa and Earnhardt on the day they met at Daytona. Both of them are giving thumbs up. Now that Juanita owns the store, she plans to pull items from the two wooden cabinets and five plastic bins and put them on display. She wants to share the gifts they’ve been given.